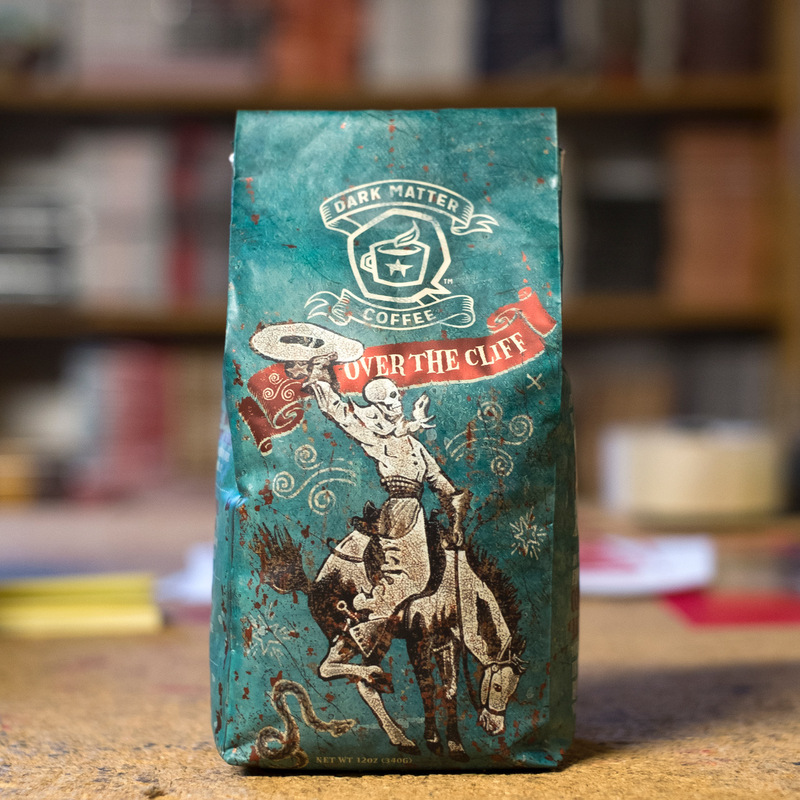 A collaborative coffee blend with our Chicago kin and fellow misfits Dark Matter Coffee! Intellectually honest, sustainable, fair trade coffee. BUNDLE IT WITH A BLOODSHOT COFFEE MUG! Desperate times call for desperate measures, strong thirsts call for strong quenchers. You think it's easy working in this music racket? Th'hell it is. We need all the caffeine courage we can get our hands on to carry on in the face of ridiculous odds. But, let's be honest, that Dunkin Donuts down the street is burning a hole in our fragile tummies. The Bloodshot staff holed up at Dark Matter HQ on the West Side of Chicago and tasted cuppa after cuppa of their spectacular wakey juice to develop a unique Bloodshot-centric blend roasted to promote layers of acidity and brightness. It's purposefully wild and aggressive. Problem solved!!! 12 oz. of coffee beans. Includes free download of 20-song Bloodshot Records music sampler. Artwork by Jon Langford. Named after the Jon Langford song of the same name, from the first-ever Bloodshot release For a Life of Sin: Insurgent Chicago Country and covered by Old 97's on their 1995 Bloodshot album Wreck Your Life. NO SHIPPING COST IF YOU PICK UP A BAG AT BLOODSHOT HQ! !